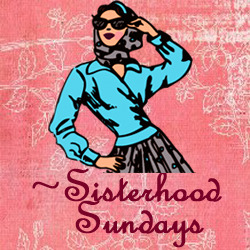 It's Sisterhood Sunday, and this week we have an inspiration photo! I used my Classic Heart Nestabilities to die cut my candy hearts out of Barely Banana, Apricot Appeal, Pretty in Pink, Almost Amethyst, Whisper White, and Mint Melody. I did three of each color and glued them together for dimension. Instead of stamping words on my hearts, I stamped bees and butterflies from Rubbernecker's Create a Garden set. The word "Love" is from the Fall Trilogy set. 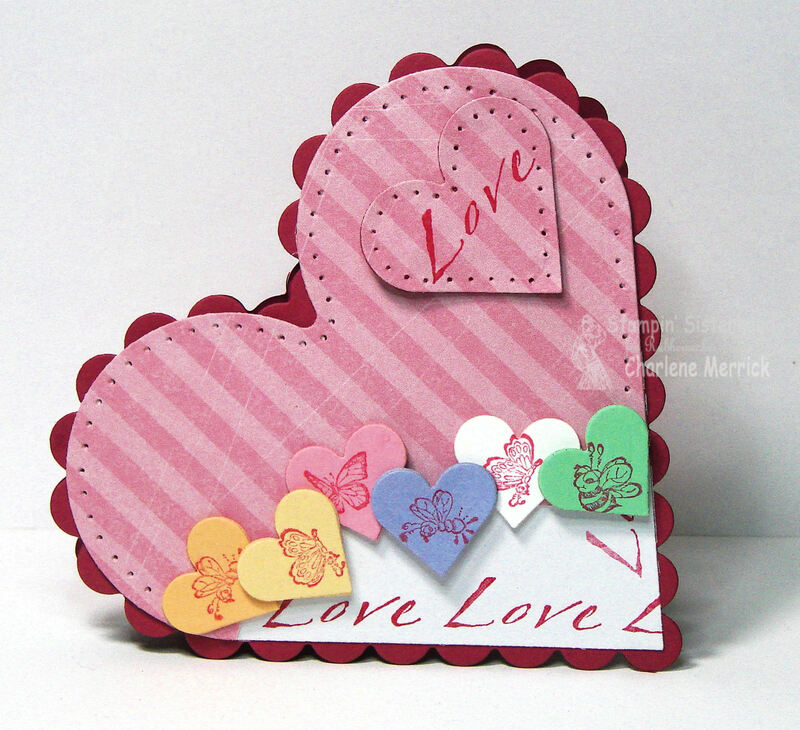 I used the largest of the Scalloped and Classic Heart Nestabilities for my heart-shaped card. You can have a chance to win one of Rubbernecker's terrific stamps, if you play along in our challenge. Create a card around this inspiration photo, using your Rubbernecker images, and link it to our Stampin' Sisterhood blog for a chance to be randomly drawn as the winner! You can get all the challenge details on the blog, as well as view the creations of my Stampin Sisters Julia, Judy, and Ellen. I hope you'll play along with us! You created a fabulous valentine Charlene! Your row of hearts and the piercing fabulous!! Have a wonderful day my friend! I love your sweet heart with the stripes!! So cute! Love the stripes on the patterned paper and your 'sweet' row of colorful stamped hearts Charlene! Totally cool card, Charlene. Loving the sweet little images on your hearts.